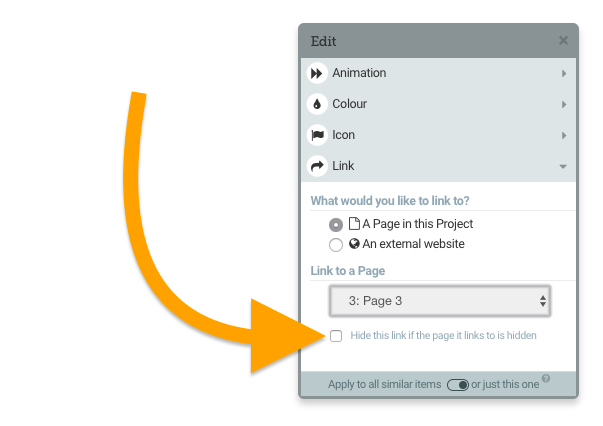 There are two ways to link to different pages in your project either by using the 'Link' control or by linking in text. 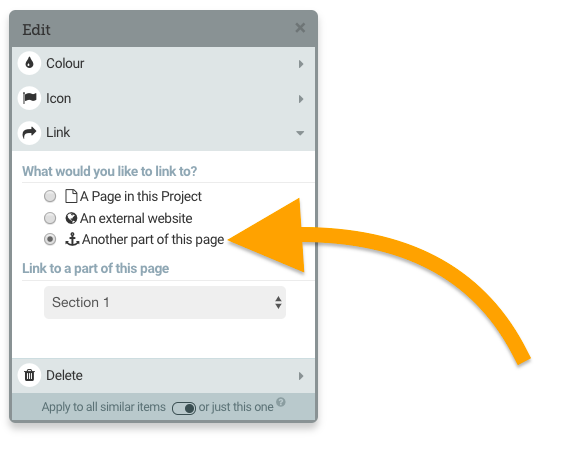 Link controls can be set to be hidden if they link to a page that is not currently available in the course (pages might not be available if Page locking is on or if there are Rules in place that hide the page). 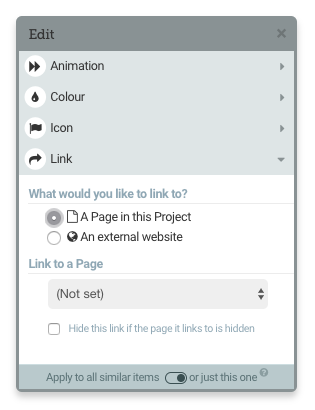 From here you can either select a page in your project using the dropdown (Link to page) or add a URL to link to an external website (Link to URL). 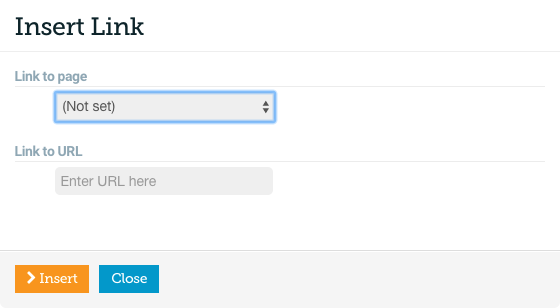 Click the element that you would like to use to link to an area of your page. From the dropdown you can select any Header in your page to link to, this can be a Project Title, Page Title or header 3, header 4, header 5 or header 6 text.